Need a men’s thobe for every occasion and event? Faris has you covered. Whether you opt for our contemporary white thobe, the Ismat or a burst of colour with a little luxe sheen, such as the Khalaqah, you’re going to need just the right footwear to complete your look. Here, we consider 3 different styles for your jubba and put together our footwear suggestions to build a stylish, modern and polished outfit. This look would be worn for special occasions, such as weddings or religious celebrations like Eid or Nikah with the whole family. A refined look like this might also be appropriate for more formal business meetings or corporate conferences when you’re dressing to make the very best impression. The ideal footwear to pair with a thobe for a dressed-up outfit is a classic smart shoe. Opting for an Oxford, Brogue or Monk shoe instantly gives your thobe an evening-appropriate update and ensures you look smart for any formal event. It’s always best to invest when it comes to smart shoes as a high-quality leather lasts longer and looks infinitely more expensive. 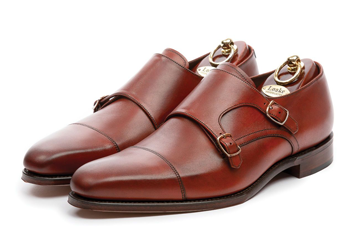 Try Loake for classic leather shoes with a contemporary twist. Next, let’s talk about a smart casual thobe outfit. Smart casual doesn’t have a particular or specific definition but is a balance of two different dress codes with added versatility. Less reserved than a true formal look and smarter than a day to day look, a smart casual thobe outfit would be worn to a more relaxed wedding or special occasion. It might also be worn to a religious celebration, gatherings with family, or an evening out with friends. 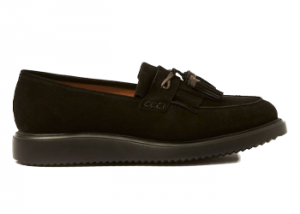 Our choice for a smart casual outfit would be stylish but relaxed loafers. Whether you opt for leather or suede, Belgian or Penny, a classic pair of loafers gives any thobe a stylish finish without being too dressy for more laid-back occasions. Opt for high-street brands, such as Topman for stylish loafers without the designer label price tag. Lastly, let’s take a look at a relaxed thobe outfit. This look works when it is appropriate to dress in a relaxed and comfortable way. However, a casual look can be modern and stylish when done correctly. You might wear this type of thobe outfit for a laid-back meal with the family, a day out shopping or gatherings at home. 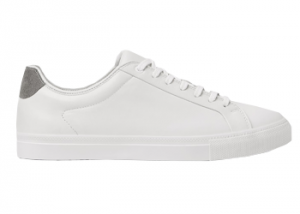 Comfort is key for a casual look so opt for a sleek pair of white sneakers to ensure you’re always looking on-trend. The key to choosing the right trainers to pair with your thobe is to opt for minimal, clean lines without too many added details, giving your head to toe look a street style finish. The high-street is the perfect place to shop for simple, white sneakers, allowing you to avoid all the logo’s and bright pops of colour and keep it modest and stylish. Try Zara for an easy style that you’ll wear time and time again. Work on your shoe game and you’ll find it easier than ever to put together a stylish, contemporary thobe outfit no matter what you have planned. There is an outfit perfect for every occasion and making sure you have the right footwear on hand allows you to team up your jubba with just the right look. Remember to keep your eyes on the Faris blog for more styling posts and news on brand new products coming to the Faris world very soon.